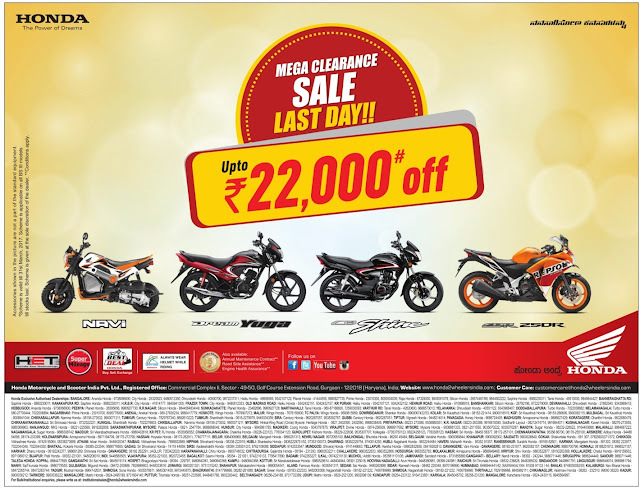 Honda bikes/scooters mega clearance sale up toRs 22,000 off. Offer valid on March 31st 2017.This offer valid on honda Navi. Dream yuga, Honda Shine, and ZSDR.